Africa’s CCCP (Community Caring for Children program) is an ambitious project started in 2012, supported by Irish AID through ChildFund Ireland. Its about creating better supports for children in developing countries by educating and empowering communities in a range of targeted ways. The name of the programme tells you all you need to know about its objectives, ‘Community Caring for Children’. The CCCP was initiated by ChildFund in 2012 with the support of Irish Aid and implemented by partners on the ground in Ethiopia, Uganda and Mozambique. The programme is designed to do exactly what it says on the tin; to develop better systems of care and support in the community for children’s early physical, mental and cognitive development. Its about improving their access and recognising their rights, its about ensuring they are better protected and that everybody’s responsibility in this regard is clear by improving awarenesses and understanding of the key issues facing children as they develop. Most of all, its about valuing children as equal global citizens and recognising that they are vulnerable, they need support to ensure they can grow to be happy productive adults – adults who are capable of great things and go on to give back to the community in later life. The CCCP is about giving children the best platform to thrive and progress by making sure, in the first instance, that they receive the best care possible in the critical 0-5 development cycle. Its a bold and ambitious undertaking that has achieved undoubted successes for many thousands of Children and indeed for their communities too. ChildFund’s Regional Communications Manager for Africa Tenagne Mekonnen, reflects here on the range of ways in which the programme has materially improved lives, and also the work and dedication of those on the ground helping to implement it in our programme countries. • Improved culture of learning and knowledge management on ECD approaches and practices. The CCCP project is in Mozambique, Ethiopia and Uganda, and representatives from all three countries came together in Addis Ababa the first week of December to review, listen to evaluation results, hear feedback about field visits, and plan for 2016. The path of the past four years has not been easy, though it is rewarding, said the teams. Rigorous training, awareness-raising efforts, parent education, networking and relationship-building with government bodies and other stakeholders were all important parts of the process. In many of the communities, it has not been the tradition or seen as a requirement to send children to preschools or ECD centers, but even if families wanted those services, they didn’​t exist before. There was little awareness of early childhood development or protection of the youngest children, even among district officials or those at higher government levels. Their focus was on primary and secondary schools. The challenges were a mixture of traditional thinking, lack of awareness, poverty and accessibility problems. But in 2012, CCCP came in to tackle the problem. Four years into the implementation, we are proud to say there is greater awareness in the community. More than 7,800 families have benefited from training; they now know what it means to protect their children through immunization, birth registration, schooling, etc. Now the parents are saying that their children, who used to stay at home without necessary care or protection at all, are completely different. The project leaders (and ChildFund, of course) believe that age 0 through 5 is a very important time for children to be shaped into who they will be tomorrow. Ignoring these years is like leaving a plant without water. Since 2012, 7,500 children in the three countries have benefited from Early Childhood Development programs and have access to school and health services. More infants are registered at birth, and they are better protected. The ECD centers are clean, fully furnished and supported by caregivers, parents and communities. 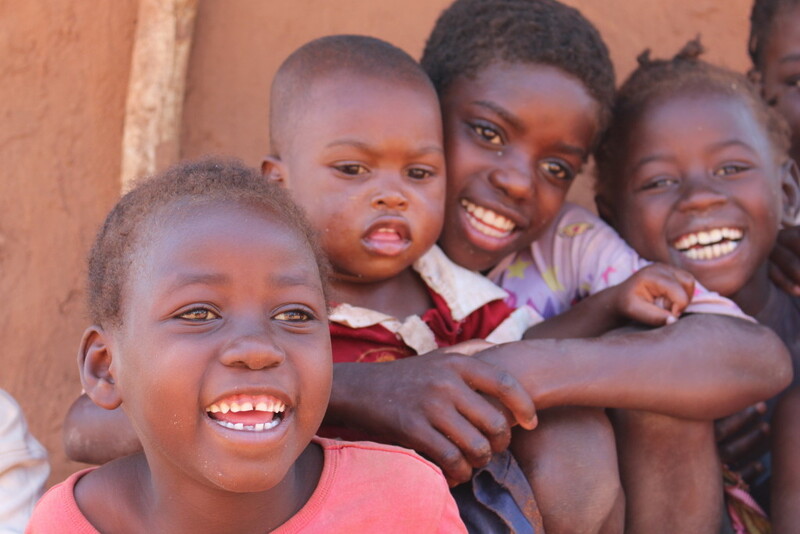 One can imagine the beautiful smiles of children and their readiness for the next stage of their lives. We are also proud of the Village Saving Loan program (VSL), because today, the parents and communities are better off economically than four years ago. Before, they didn’t know before why saving money was important or have a good way to save, but today, through the VSL, they know what it means to save and how, for what and when to use their savings. Now, the communities using the VSL model have different types of businesses, which support their way of living. Community members are now confidently saying that even if CCCP is not around in the future, our lives will continue, now that we know how to run businesses and save money. We shall support ourselves and our children. The project has a higher profile and increased visibility, and local government bodies are observing the impact and want to work with the project and provide support. We have done a lot, but there is still long way to go: advocacy to push the matter to policy-makers and make sure children enjoy their rights to the fullest, addressing the demand for ECD centers and home-based care, increasing the project’s visibility to the national level to get more resources and support, involving more specialists, and increasing documentation. These challenges need to be addressed so we can reach more children and expand geographically. The teams from the three countries look forward to doing more and building tomorrow’s leaders with better financial and technical resources. With thanks to Tenagne Mekonnen, ChildFund Regional Communications Manager in Africa for compiling this report.